Sustainable Development Goal 4 on education aims to "ensure inclusive and equitable quality education and promote lifelong learning opportunities for all." Within this goal, there are targets to increase the number of youth and adults with relevant technical and vocational skills, and to eliminate gender disparities at all levels. Relevant technical and vocational skills is critical to consider alongside improving access to formal education. 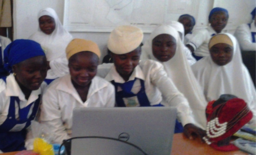 While quality education goes far to open doors for youth around the world, we have learned that even with a secondary education, many girls graduate into economies ill equipped to offer them meaningful employment opportunities, and systems that lack mechanisms to help enable a higher education for those who lack the family financial support to pay for it. Ensuring that young girls have opportunities during their secondary education to gain technical and vocational skills can help enable them to earn income on their own while in school and after graduation, which can in turn help them save to pursue a higher education, or provide a foundation for a successful career as an entrepreneur, and possibly both. CTL provides training in vocational skills by bringing in local experts in skill areas in demand in the girls’ communities. Girl students have received training in skill areas including weaving, tailoring, production of various cosmetic and household products, jewelry making, and food processing (juicing, cake baking, etc). In addition to these vocational skills trainings, girls learn skills in leadership, entrepreneurship and financial literacy, and are teamed up with women mentors to guide them in their business development. These local initiatives in turn benefit the local community. For example, in Nigeria, the project has helped facilitate the girls selling their soap products to area schools to support their health and hygiene programs. The girls in Nigeria have also recently formalized their effort into a cooperative, and are using the income generated from selling their goods in their communities to save toward their higher education. CTL is currently scaling up this program in Rwanda and Nigeria, by engaging nearly 200 girls in vocational and entrepreneurship training, and supporting them to export their products to markets beyond their own communities to help self-sustain the program for future beneficiaries. The CTL team has also recently identified skilled artisans in Ghana to lead vocational trainings for recent CTL scholarship graduates and other youth in areas including production of natural skincare products and bead making. Examples of the products the girls are producing can be viewed below. 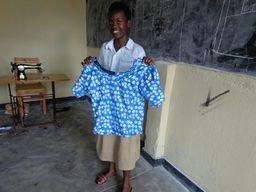 For more information on products being produced by girls in the CTL program, please contact info@connectotlearn.org, or 917-821-8910.